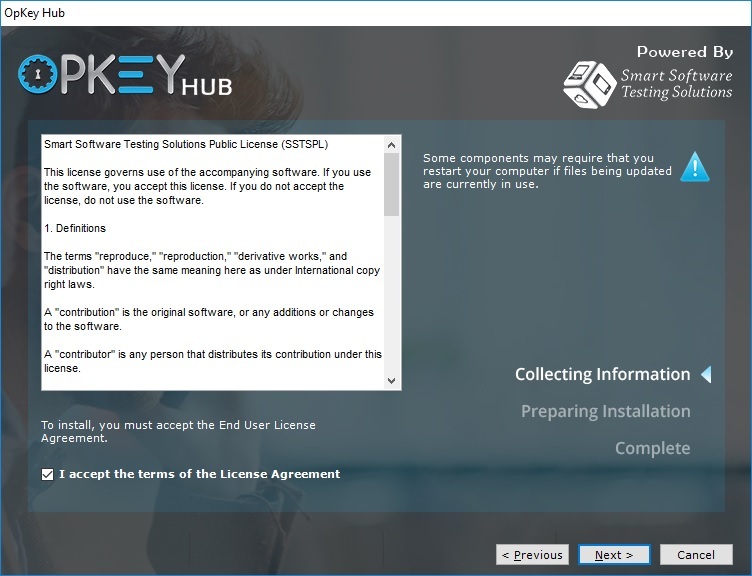 OpKey Hub is an utility which allows you to execute multiple Test Suites parallel through Grid Execution with the help of OpKey Execution Agent. All the sessions executed from Grid, come in queue in OpKey Hub and then Hub will start the execution immediately depending upon the availability of the agent. As soon as the OpKey Agent has finished execution of the current session, it picks up the next Queued session and the process continues until the queue get empty. Here, let us see the installation of OpKey Hub. Now it’s available as an standalone installer setup which can be easily installed on the machine. 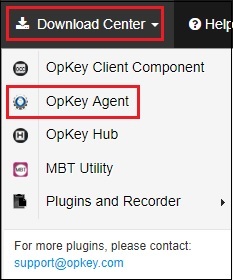 You can download OpKey Hub installer setup file from the Download Center of OpKey Web. 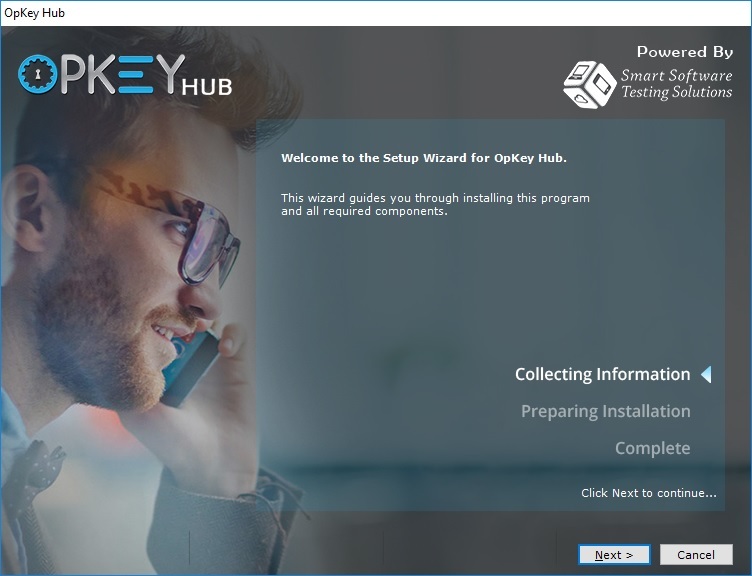 Once, setup file has downloaded, you can initialize the installation process of OpKey Hub. The first screen appears as follows. Click Next to proceed. In this step, you need to accept the terms of License Agreement. Check I accept the terms of the License Agreement and click Next. Here, OpKey Hub calculates the total available, required & remaining space in your C drive. You can install OpKey Hub in any other drive by browsing & choosing location from here. From here, you can customize the usage of OpKey Hub after installation. You can also create installation logs by checking the Create Installation logs checkbox. Click Next to proceed installation process. 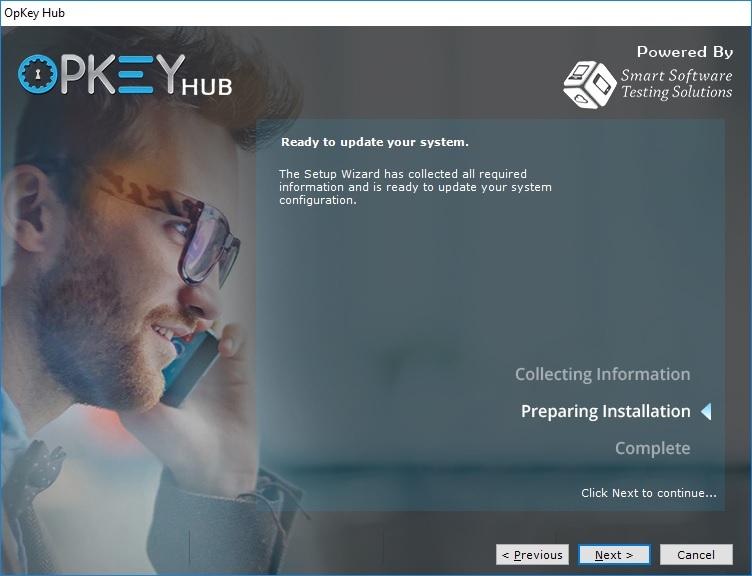 Your OpKey Hub installation has finished. Click on Finish. 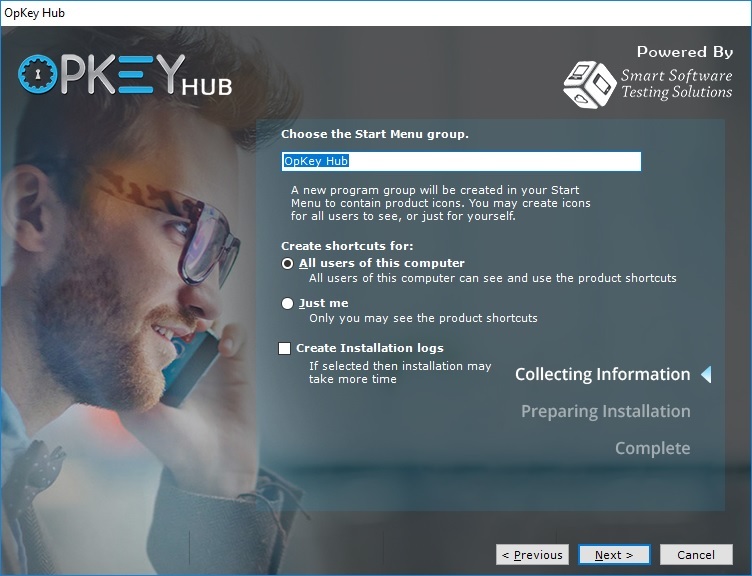 Once installation process has finished successfully, a shortcut icon of OpKey Hub is created on the desktop.